Tandberg Data Media and storage products are the result of many years of joint development and continuous enhancements. This serves to provide the increased capacities, performance rates, and cost-efficiency demanded by our customers worldwide. The industry-leading quality and reliability of our products is acknowledged by leading international OEM customers. Our partners depend on optimum data security for their mission critical data storage needs. Using Tandberg Data branded media with Tandberg Data branded storage products assures industry-leading performance and data security. Tandberg Data media is always the right choice because it is designed to work with our products. 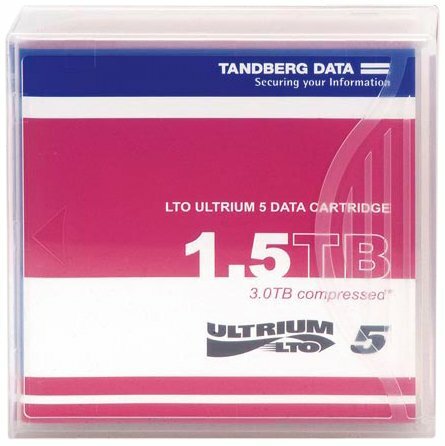 To achieve and maintain the maximum benefit of your Tandberg Data branded storage product, we recommend using Tandberg Data media cartridges with them. If you have any questions about this product by TANDBERG DATA, contact us by completing and submitting the form below. If you are looking for a specif part number, please include it with your message.